A Russian fighter jet came within feet of a Navy surveillance aircraft over the Black Sea while on a patrol. 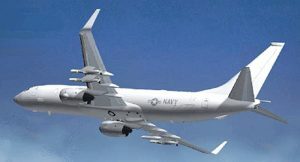 The P-8 Poseidon was approached Tuesday by a Russian Su-27 jet which flew alongside within 20 feet for five minutes. Capt. Pamela Kunze spokesperson for US Naval Forces Europe said the interaction was “considered to be safe and professional by the P-8A’s mission commander,” the distance was unusually close. “Distance is only one of many variables considered when defining what is safe and professional,” Kunze said. Most interactions over international seas and waters are safe and professional after considering the speed, distance, altitude, and other factors. “U.S. Navy aircraft and ships routinely interact with Russian units in international seas and water and most interactions are safe and professional,” Kunze added. Russian officials have called the incident a “welcoming maneuver” during a statement made on Friday, according to a Newsweek report.